Florida Hands & Voices is a state chapter of the nationwide organization, Hands & Voices, a non-profit organization dedicated to supporting families and their children who are deaf or hard of hearing, as well as the professionals who serve them. We are a parent-driven, parent/professional collaborative group that is unbiased towards communication modes and methods. We believe that what works for your child is what makes the choice right. Our diverse membership includes those who are deaf or hard of hearing and their families who communicate orally, with American Sign Language, cued speech, or with a combination of communication methods. The growing membership of Florida Hands & Voices is dedicated to spreading the word about our organization and bringing Florida families together for support. Our chapter includes parents, children, professionals, students and deaf adults. This website is a place where you can access important resources, gather information on upcoming events and ultimately connect with families of children who are deaf or hard of hearing. What works for your child is what works makes the choice right. Join Florida Hands & Voices and become a part of a wonderful organization committed to supporting families of children who are deaf or hard of hearing. 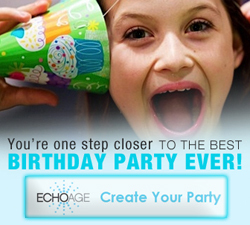 Kids of all ages can support FLH&V and get bigger birthday gifts through ECHOage.